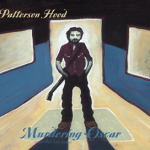 Murdering Oscar is the second solo record from Patterson Hood, the leader of the Drive-By Truckers, and has been 15 years in the making. The album was produced by Hood and long-time DBT producer David Barbe (Sugar). Most of his DBT band mates join him on the album as well as Don Chambers, Will Johnson and Scott Danbom from Centro-matic/South San Gabriel. 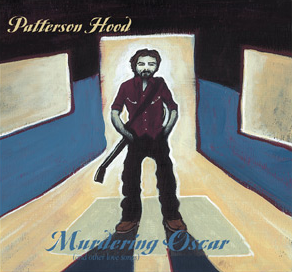 This is also the first time Hood’s father David Hood, famed Muscle Shoals bass player, joins him on a record. My first solo album. Recorded in my dining room back in early 2001 during a very low time in my life. Wasn’t initially intending it as an album as much as demos for a bunch of new songs I was writing during a period that saw me writing much of what became known as the Decoration Day album. I holed up in the room with a guitar and a few other things and multi-tracked layers of guitar and vocal by myself. 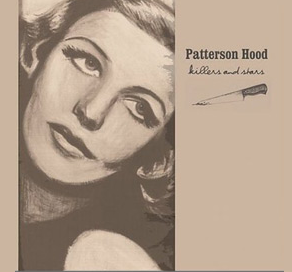 I went out on a solo tour right after and made up a bunch of burned discs with a home-made cover based around a portrait my friend Toby Cole had made of Frances Farmer (pre-lobotomy). That portrait had inspired the song of same title on album. Later, I sold the album to New West for enough money to finance my honeymoon with Rebecca and we came home expecting a baby so it was probably the best deal I could have hoped for. Includes favorites like “Uncle Disney” and “Old Timer’s Disease” as well as the Tom T. Hall cover Pay No Attention to Alice”. Patterson Hood is a musician and songwriter living in Portland, OR. 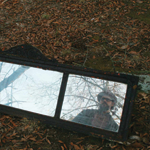 He's originally from Muscle Shoals, AL and plays with a band called Drive-By Truckers as well as being a solo artist.